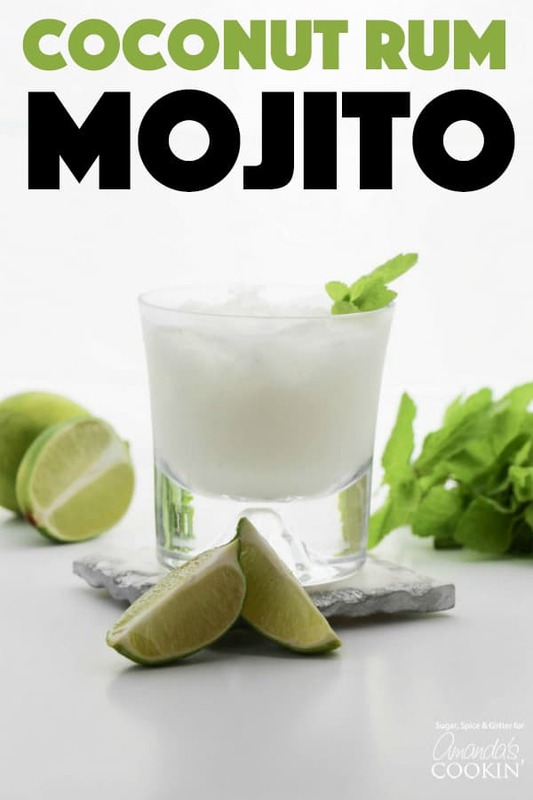 Coconut Rum Mojitos: a refreshing and tropical mojito for summertime! 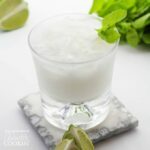 I can’t make this Coconut Rum Mojitos without getting the classic “Lime in the Coconut” song stuck in my head – and I can guarantee you won’t be disappointed if you put the lime in the coconut and drink them both up! Speaking of drinks with rum, don’t miss out on our most recent adult beverage on the blog, Pineapple Rum Slush! Two perfect rum infused drinks for parties, BBQ’s and family picnics! I love mixed drinks in the summer, especially mojitos. Refreshing, cooling mint and coconut lime is a classic summer flavor – tropical yet not as sweet as some other tropical flavor combinations. You can swap out the coconut cream for coconut milk or coconut water as desired (for slightly different tastes and textures) but one thing that can’t be substituted is fresh mint – it’s absolutely essential in this recipe! Mint extract would not do this recipe justice so I would skip the mint entirely and just make a coconut rum punch if you don’t have fresh mint available. What is simple syrup and why do I need it? Have you ever had a glass of cold iced tea and tried stirring a teaspoon of granulated sugar into it? Yeah. It doesn’t dissolve well in cold water. That’s where simple syrup comes in. You boil the sugar and water together to create a simple sweetener that is commonly used in cocktails, but also great in iced tea! 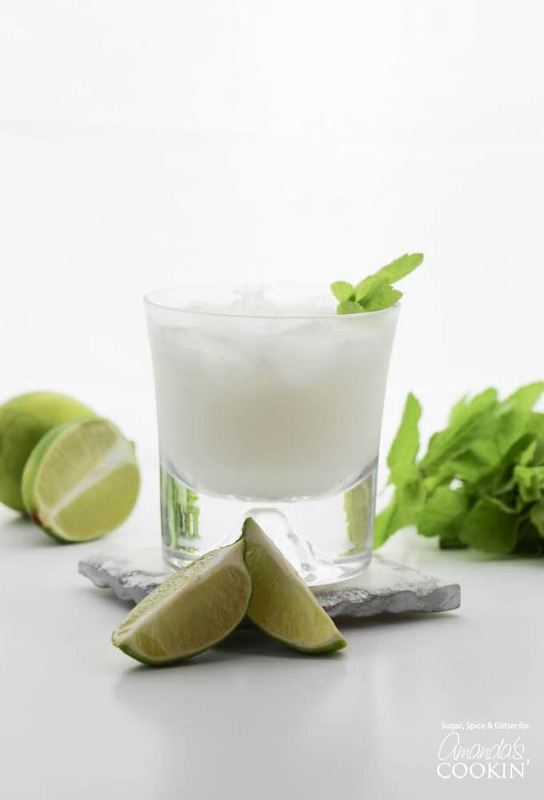 I made my own quick lime-infused simple syrup to make this coconut mojito recipe but if you’re in a pinch, either use plain simple syrup or a sprinkle of superfine sugar. To make the lime-infused simple syrup, I combine equal parts sugar and water in a saucepan over medium heat until the sugar is completely dissolved and the mixture starts to thicken. I then add the zest of a lime to the pan and take it off of the heat. The lime syrup is delicious in this recipe, but also makes a great base for homemade limeade or in addition to desserts! Note: to make enough simple syrup for this recipe, you will need 1/4 cup water, 1/4 cup sugar and the zest of 1 lime. Now you’ve learned how to make a mojito! If you need me, I’ll be blasting the song and drinking up these Coconut Rum Mojitos on the deck all summer long! Share these Coconut Rum Mojitos with a friend to get the song stuck in their head, too! Coconuts scream summer, and what better way to throw a summer picnic or BBQ than with these coconut rum mojitos and this Coconut Cream Lush dessert? Another thing that screams summer is a Pina Colada. I hope you have a great summer! Coconut Rum Mojitos: Refreshing, cooling mint, and coconut lime are combined making a classic summer flavor. Oh so tropical and satisfying! Place mint in a cocktail shaker and muddle - either with a muddler or the back of a spoon. Fill with ice and remaining ingredients. 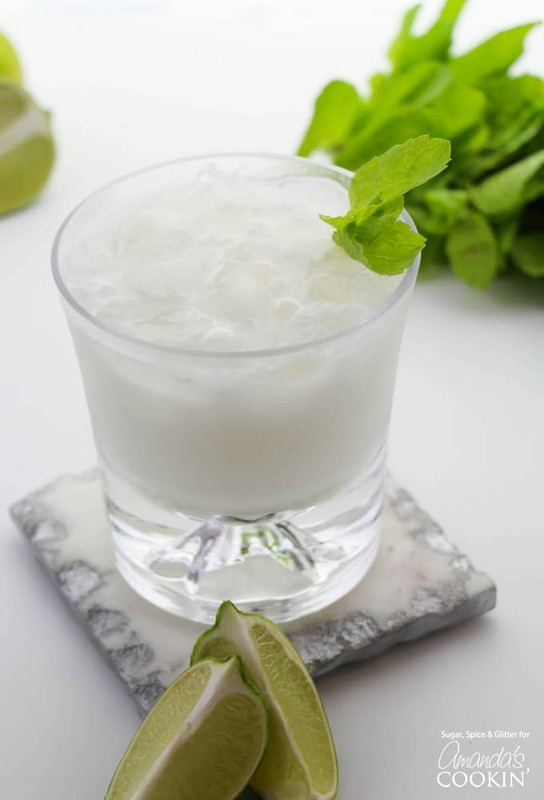 Shake vigorously until drink is well chilled and then strain out into an ice-filled glass. 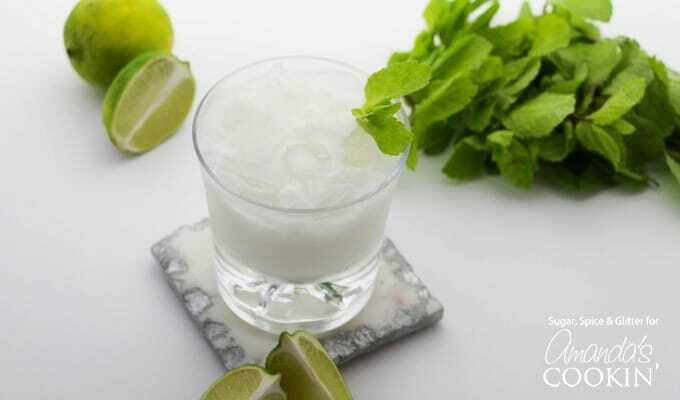 Adjust to taste with lime juice and garnish with additional mint or lime.